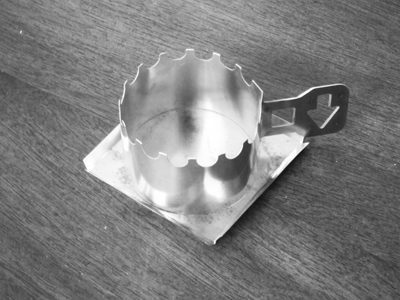 The Multi-Fuel 1.1 Isopropyl alcohol stove burns rubbing alcohol without creating soot! It will also burn methanol, ethanol, gelled alcohol, Sterno, hand sanitizer and solid fuels. 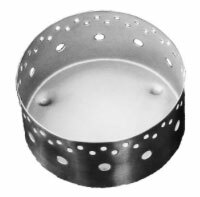 The Multi-Fuel 1.1 Isopropyl alcohol stove burns rubbing alcohol without creating soot! 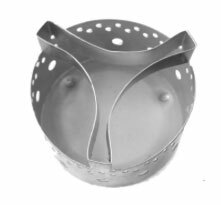 We invented the Multi-Fuel stove and this is our forth generation and best isopropyl alcohol stove. This is a great stove when a) denatured alcohol is not readily available and b) excellent for people who have concerns about handling methanol (found in most denatured alcohol). 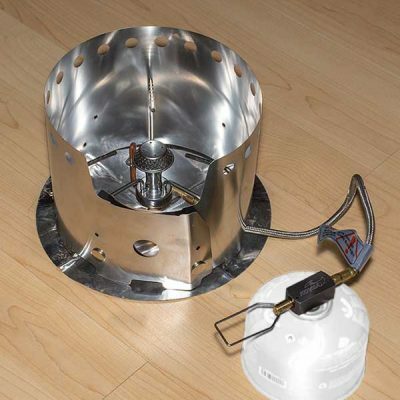 The Multi-Fuel stove is designed to burn 70% isopropyl alcohol. With higher percentages of isopropyl alcohol, we recommend that water be added to bring the mix to ~70%. The Iso-Clean stove will boil 2 cups of water in about 9 minutes. The stove will use ½ oz. of alcohol and will continue to burn for 2 more minutes. For the best soot free operation, the stove will need to warm up for a minute prior to putting the pot on. Note that the stove to pot gap is set at ~ 0.5 inches.